Yet Hosteltur, leading online media specialized on Spanish tourism industry, said the importance of Adults Only concept, publishing a special magazine entitled Adults Only, el producto de moda que crea tendencia, which can be downloaded for free on the link, and invites reflections on commercial opportunities by hotels specialized on adult audiences. Spain has joined the craze for Adults Only hotels. This new type of hotel, with a long tradition in other countries, has fully reached our market, opening new business opportunities in the tourism sector which tends increasingly towards segmentation and specialization. Family resorts and hotels for children still have a main position though, offering a wide range of services and activities focusing on children and allowing parents spending relaxing holidays. However, Adults Only hotels offer a radically different point of view: it’s all about the parents here, only providing accommodation for guests over 15 years. These hotels are designed with great care and detail, designed for those who want to relax alone or with their partner as quietly as possible. The main goal here is ensuring a complete break with routine and providing adults relax for a few days, away from the responsibility to be always mindful of the little ones. These hotel’s offer is focused on achieving these relax and fun programs. Activities are much more mature: night theme parties, sports and day trips, spa & wellness sessions, cultural tours, culinary experiences. A wide range of proposals designed exclusively for adults. One of the Spanish main companies offering Adults Only hotels is Sol Hotels, which has already 5 adults-only exclusive resorts in major tourist destinations in Spain: the Sol Cala Blanca in Mallorca, Sol Menorca; Sol Ibiza, the Sol Costablanca in Alicante and the Sol Los Fenicios in Granada. All these Adults Only hotels are set on the seaside, offering personalized services, private check in the room, large Balinese sun beds on the terraces, gorgeous pools, chill out areas… Services designed for parent’s greatest relax and fun. And with no children. Special Activities for couples represent new niche markets with high valued services where Adults Only hotels find natural opportunities to keep on growing. Cala Millor Garden hotel and Holiday Garden hotel from Garden Hotels offer several proposals for adults ranging from Thai chi or pilates, continental breakfast in the room and pillow menu, to horseback riding, day stress or dance classes … Only for two. The Adults Only phenomenon has also an obvious advantage: it cuts to other housing proposals. Obvious and profitable. Adults Only products open the door to the exclusivity and luxury. Travel motivations as golf, wellness & spa or shopping marry perfectly with hotels for couples. The Melia La Quinta Golf & Spa Hotel, a hotel in Marbella with a wide range of activities as golf and spa, is one of the best examples in Spain. Iberostar Hotels & Resorts also committed to offering a wide range of products and services in order to satisfy a dynamic niche market. Hence, they offer a tempting catalogue including packs (Sweety, Healthy, 5 Senses…), brunches in the room, adults only mini bars, adult pleasures as bartending classes or wellness rooms, and the super exclusive service Ask for the moon: guests may go shopping with a personal shopper, discover the most hidden art galleries and even… learn to fly! Some Adults Only hotels are the Iberostar Royal Cupido, Iberostar Suites Hotel Jardín del Sol or the Iberostar Costa Canaria Hotel. However, Adults Only hotels are not only virgin beaches and gorgeous settings. 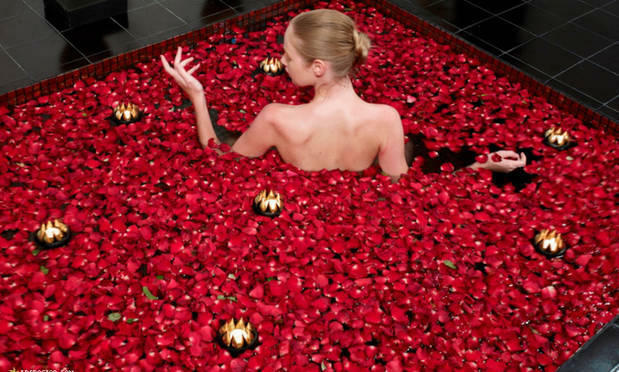 Lover’s passions are also imaginable in urban hotels. 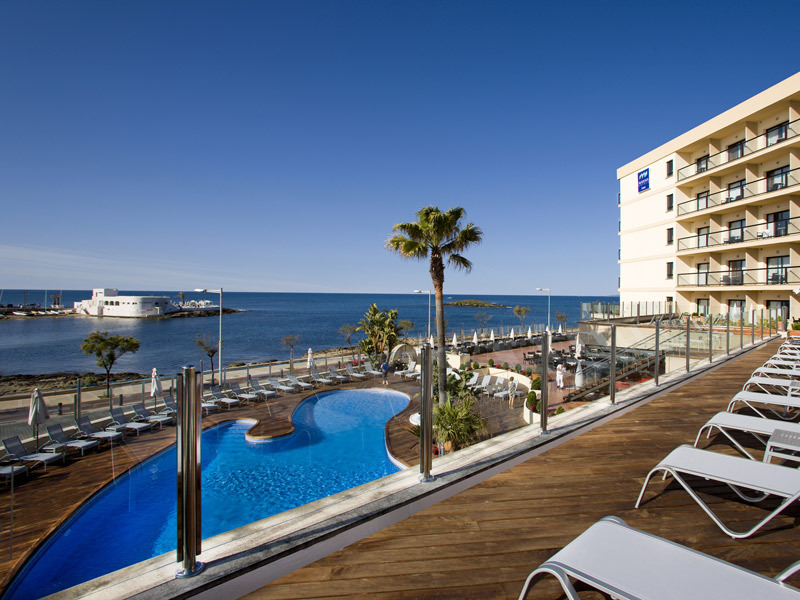 The Marina Luz Hotel made by Marina Hotels offers week-end getaways by the sea and only 10 minutes from Palma’s town center, an ideal setting to relax and enjoy exclusivity. Typical specific motivations regarding renowned cities such as Barcelona, Madrid, Bilbao, Seville and Valencia, among others, offer the possibility of developing specific proposals, outside and inside the hotel, with extraordinary examples. The Adults-Only concept “underlies deep social and cultural changes.” Only hotels ready to understand this product will be able to target a specific audience with great spending power and willing to repeat their experiences. Culture, tradition and celebration; travelling to Palma de Mallorca can be a great surprise. The city celebrates the festivals in honour of Saint Sebastian, its patron saint, on the 20th of January by organising dozens of activities for all ages and likings. Prepare yourself for a long night of numerous concerts, spectacular bonfires and improvised barbeques on the city’s streets. Most of us know that Palma de Mallorca is a perfect place for a trip in the autumn or spring, not to mention a real summer vacation. Incredible beaches and inlets, nice weather and all types of fun are waiting. However, what not everyone knows is that the city’s most important celebration takes place in the winter, specifically on the night of January 19th. Although Palma holds celebrations starting on the 14th until the 22nd of January, the city’s big night is on the 19th. The year’s longest night is witness to dozens of concerts in each of the city’s squares, as well as hundreds of bonfires distributed along the main streets of the centre. The city’s inhabitants flood the streets with baskets full of bread, wine, sausages and meats to barbeque in the open air and among the crowds. This is a night to share, laugh, eat among friends, drink nice wine and dance until dawn. During the week, there are gastronomic days, craft markets, workshops for children, sports events, photographic marathons, traditional events, regional dances and numerous activities for the enjoyment of residents and tourist alike. This is the perfect time to discover the true character of this emblematic city. This year the “fiestas” coincide with the weekend (Thursday, Friday and Saturday), making it the perfect excuse for a short trip to Mallorca. Experience a weekend full of fun and excitement, on the coast of the Mediterranean and far from the cold of the north. Airplane fares and accommodation is much cheaper this time of the year; travellers can even find rooms in a luxury resort in Mallorca, right in the centre of Palma, and at a very reasonable price. Furthermore, the celebrations programme for San Sebastián, 2012 includes three consecutive days of concerts by national bands, for every liking but mainly pop, like Maldita Nerea, El sueño de Morfeo, Facto de la Fe, Las flores azules, Carlos Jean, Coti, Amaia Montero, Huecco, Tanga Team and La húngara, among others. The celebrations include electronic music sessions, traditional music bands and entertainment shows on every street. Everything is free of charge. The grand finale of the celebrations is the night of the 20th. The Aiguafoc is a renowned pyrotechnic show over the Bay of Palma. Come enjoy this multi-coloured, spectacular celebration while feeling the sea breeze on your face. The Canary Islands are one of Spain’s paradise destinations, where sun and beaches intertwine with culture and tradition to offer a unique, different and unforgettable experience. The Sol Hotels chain in the Canary Islands has wagered on this vacation model for families, couples and friends with an added value. To do so, it has created a network of 11 hotels in Tenerife, Gran Canaria, Lanzarote, Fuerteventura and La Palma that gives travellers the opportunity of experiencing the Canary Islands in a thousand different ways. Tenerife is the main island when we speak of relaxing family vacations or days of fun with friends: Sol Hotels in Tenerife has six different vacation complexes, three of them in Puerto de la Cruz. This is where you’ll find Sol Parque San Antonio, one of the first Sol Hotels in the Canary Islands, a quiet resort with a special service of very varied gastronomy, facilities for every liking and activities for children. The Sol Puerto Playa is very close by, in the heart of the city and only 150 metres from Jardín Beach, and it offers various services. The Sol Puerto de la Cruz, located in the Urbanization La Paz, offers Junior Suites with a hydromassaje tub (the ideal place for a weekend trip with your couple), as well as interconnected rooms for those travelling with children and a meeting service to organize business events. 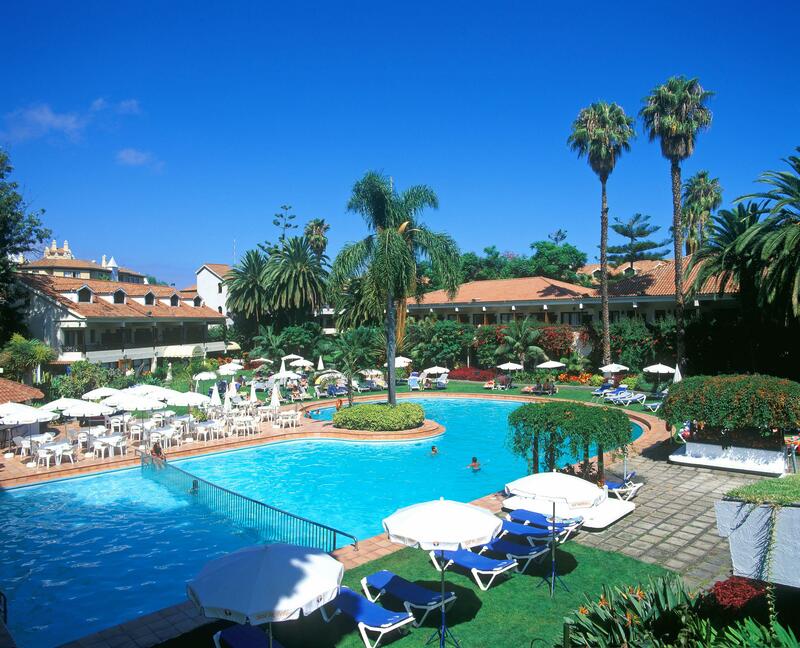 Sol Hotels has one of the largest resorts in the Canary Islands, located in the capital, Santa Cruz de Tenerife. 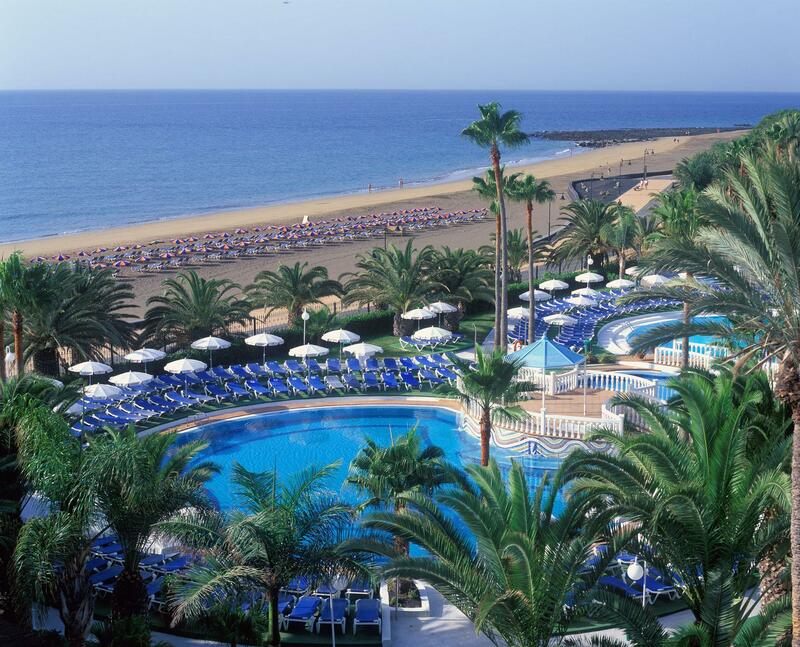 The Sol Tenerife, with 522 rooms right on Las Américas Beach, with a buffet, bars, a jazz club, a mini club for children and a complete massage service. 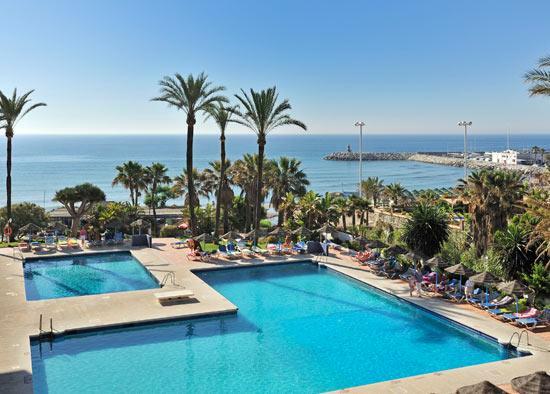 To travel with children to Tenerife, the best option is to stay at an all-inclusive hotel like the Sol Princesa Dácil in Arona, next to Los Cristianos Beach. It is one of the two modern theme hotels Sol Hotels has in the Canary Islands; the Hotel Picapiedra was inspired by the famous cartoon series and designed for the enjoyment of the little ones. The other hotel specifically for children in the Canary Islands is in Lanzarote, the Sol Lanzarote, a resort with apartments for families in Puerto del Carmen. Those looking for a group vacation with friends, the Sol Sun Beach Apartments and studios in Fañabé Beach, right on the Adeje Coast, is a comfortable and welcoming accommodation to spend a few days of fun in Tenerife. But the Canary Islands is much more than Tenerife; Sol Hotels has also designed complete resorts in specially beautiful areas of the archipelago, like in La Palma. The chain has two complexes: Sol La Palma and Sol La Palma Apartments, a very complete combination of hotel and apartments on the coast of Puerto Naos. It is worth highlighting its wide selection of gastronomic offers, its spa, function rooms and sport facilities. The apartments also allow pets of up to 10 kilograms. The offer of Sol Hotels in the Canary Islands is completed by the Sol Jandía Mar Apartments, an aparthotel in Morro Jable, designed for couple or family vacations in Fuerteventura, as well as the Sol Barbacán, a spacious and modern aparthotel in Playa del Inglés Beach in Maspalomas, made up of apartments and bungalows for families and offering all the necessary services to spend a vacation in Gran Canaria. Barcelona, the weekend of the 27th to the 29th of January: Music, art and fashion unite in The Brandery, the country’s most important urban and contemporary fashion event. This proposal is full of surprises, offering fashion shows and the latest fashion and accessory design tendencies, as well as famous national bands like Fangoria or Dorian. This is the perfect excuse to travel to Barcelona and enjoy the moment. Fashion is a concept that has always been strongly linked to the city of Barcelona: Cosmopolitan people, different scenes in constant evolution, and an innovative culture specialized in influencing styles. Barcelona is not only a destination for a vacation; it is a city that sets trends. If you’re thinking of travelling to Barcelona and you’re looking for accommodation, a perfect option is booking a city hotel in Barcelona, close to the Montjuïc Fairgrounds, where the event will be held. Also, it’s an area only a step away from the centre, where you can experience Barcelona’s hustle and bustle. 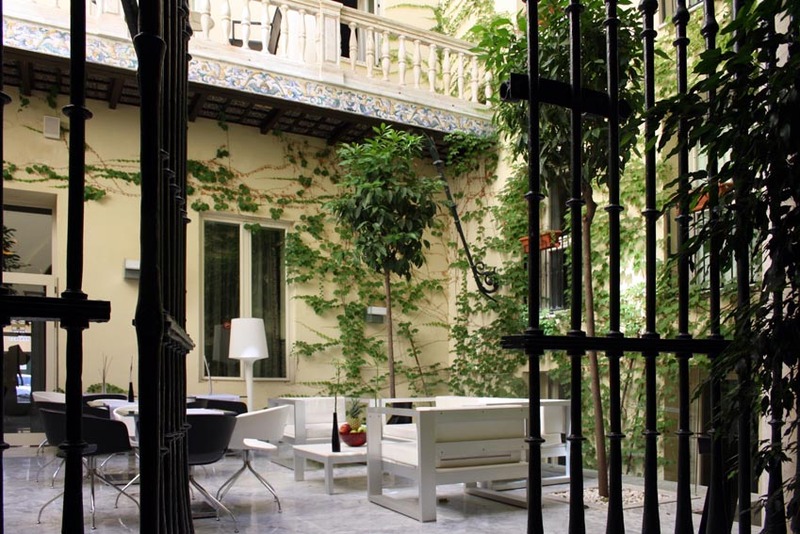 The prices regarding accommodation in Barcelona are very reasonable this time a year, and The Brandery organisation has various associated hotels. A hotel close to the Fira Barcelona, well connected with the city’s public transportation, with comfortable rooms and 24 hour personal service will allow you to carelessly move around Barcelona, all weekend long. This new edition of The Brandery is presented under the Love your way theme. It aspires to be the centre of inspiration of new Spanish designers, national and international retail professionals, experts in tendencies, specialized bloggers, as well as urban brands and buyers. But the event is not only for professionals, fashion enthusiasts and the general public also have access to various proposals and activities to discover the latest fashion design trends in the BrandTown area. The Tradeshow area was specifically designed for professionals, dozens of daily proposals, stands from all over Spain and the south of Europe, even a window-dressing contest –The City-, with the participation of the best Spanish and contemporary design and fashion stores. There will also be events to connect brands, new designers and merchants looking for new talents, as well as spaces for debating the latest topics, the fast fashion boom, the changes in consumer habits, fashion’s future, new business frontiers and technologies, etc. But as well as fashion, design and accessories, this weekend in Barcelona you’ll be able to enjoy the concerts offered by bands like Fangoria, Dorian, The Zombie Kids, Undo, Buenavista and 2manydjs. A proposal that well deserves a weekend trip to Barcelona this month. Enjoy!